A familiar face around campus, South American international alumni Paolo Loli was best known for his software and computer skills. 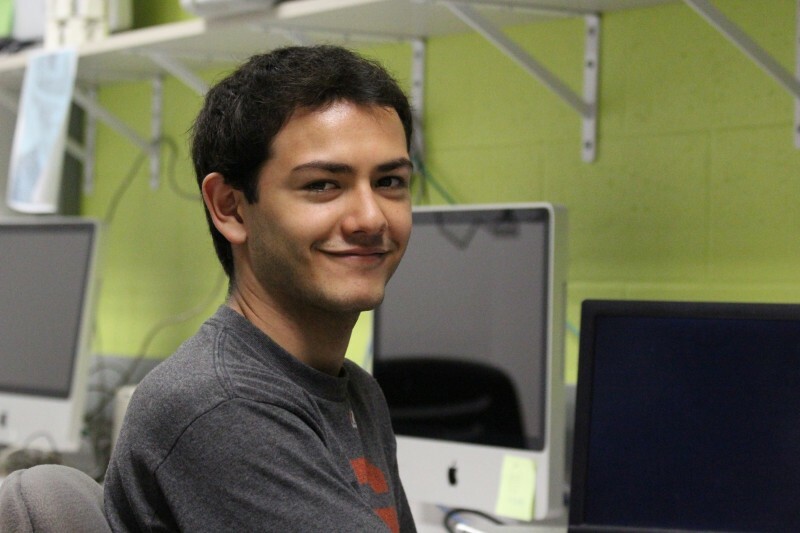 Both an active and involved student in his time at the University, the Computer Information Systems major found his home away from home. After spotting Castleton tucked away in the corner of his local college fair, the Lima, Peru native knew the change of scenery, close-knit feel of a small town and relationship based education Castleton offered was the perfect fit. Following a brief conversation with Castleton representative and Spanish Professor Ana Alexander, and sifting through the sea of other schools at the fair, he was sure of his decision to attend. While on campus, Loli became involved in a variety of roles during his time at Castleton, including his positions as a Community Advisor for Residence Life, student worker for the IT department, monitor for the World Languages Lab, manager of the men’s basketball team, and beginning his senior year, a Division III basketball athlete. His hard work and dedication to his extra curricular activities, as well as his studies, allowed him to flourish and grow within the ever-evolving learning environment. “He has a strong work ethic and a great personality and he is just a pleasure to work with,” said Gayle Malinowski, Chief Technology Officer in the IT department, who has worked closely with Loli since his freshman year. His professors feel a similar sense of pride while watching Loli exceed both in and out of the classroom. Though temporarily leaving his family thousands of miles away was not an easy decision, and the rustic feel and constant changing of Vermont seasons took some acclimating, Loli credits the friendly community atmosphere at Castleton for making him feel right at home.